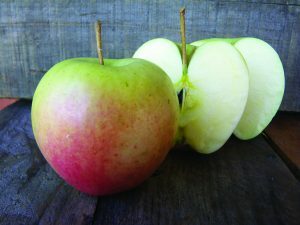 What can we tell you about this apple that isn’t in the name? It’s gold. It’s delicious. Crisp, sweet, perfect for snacking or processing. Pro tip: A little bit of russeting on the skin is normal in a Golden D. Just think of it as picking an apple with some life experience.